Step into the next generation of portable data collection with the HHP Dolphin 7400. 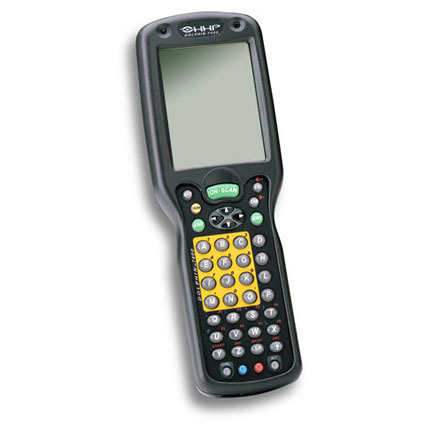 The 7400 adds a Microsoft Windows CE ™ operating system to a modular portable hand held computer platform that features 3 choices of keypads, large quarter-screen display, high-performance Intel ® StrongArm ™ processor, as well as up to 320 MB of memory, and optional touch-screen capability. Dimensions (W x D x H): 3.45" x 1.9" x 9.6"